that looks great! just a friendly word of advice - it looks like he's made that out of MDF? Well, he's done a great job ... but my fella is a handy man and just mentioned that you need to seal it asap as mdf will swell when wet (from the bottle drips) and also if molly gets chewing on it - mdf is toxic so could make her poorly. Just seal it with a waterproof laquer of some sort - you can get them in a spray can. tell him - job well done. Does he want to build me some shelves? My Handy Andy is very useful to everyone else, but by the time he gets home I can't get him to do anything for me! Me too, Ted knows about cars and if mine needs new brakes or anything, it takes him ages! Very good I am sure he could get some orders for this stand.I do think it is excellent that you have got Molly drinking from the water bottle . I tried my two one one for when we are out in the car, but gave up probably if I had thought of it when they they were babies. I have now bought them a Road Refresher Bowl as seen on Dragons Den and it is great. 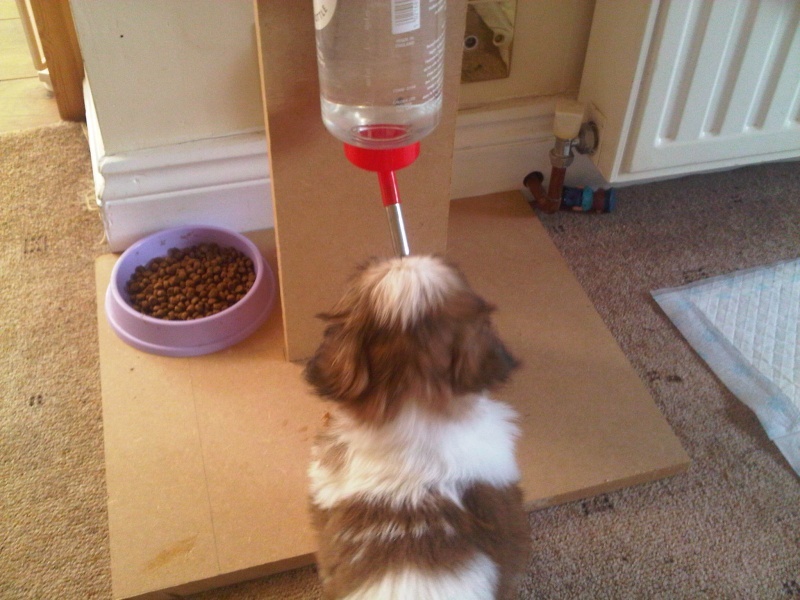 Oscar never liked the water bottle, when we got Louis I used one on his crate. He used it no problem and went back to it rather than his bowl when out of the crate. Oscar followed suit so the bowl became redundunt. 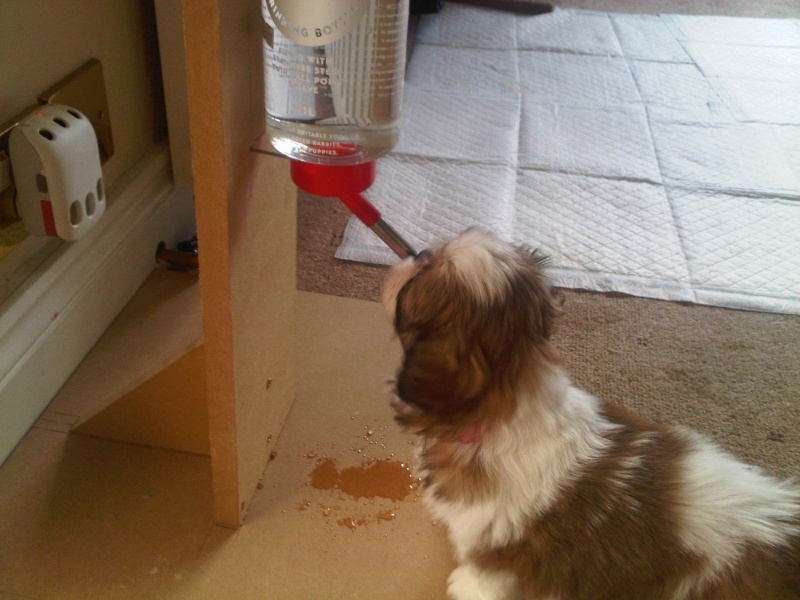 I still get the bowl out for when we come back from walks though so they can have a good long drink.